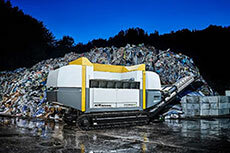 Lober GmbH & Co. Abfallentsorgungs KG, one of the most experienced alternative fuel producers in Germany, has invested in the UNTHA XR3000C waste shredder to optimise its SRF plant. 50 000 tpy of SRF is processed from industrial waste at Lober’s Neunburg plant, for use in cement kiln main burners. This makes Lober one of the most experienced SRF specialists in Germany. As a constantly growing business, there was a need to increase the capacity of the existing production line, while still maintaining quality and particle size. Facing these requirements, Lover contracted Austrian shredding specialist UNTHA. Lober’s Operations Manager Mr Weig explains: “An intensive analysis of our operating data revealed that our post shredders could process more if we were able to achieve an optimised particle size and a steadier throughput in our pre-shredder. 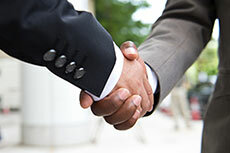 This would support our goal to increase capacity and, subsequently, our bottom line. Unconvinced that its existing shredding technology would stand up to the challenge, and impressed by reports of the XR Cutter, Lober began talking to the team at UNTHA’s Austrian headquarters. It was claimed that this flexible shredder could handle an array of tough materials, however bulky, with impressive throughputs yet minimal power consumption. 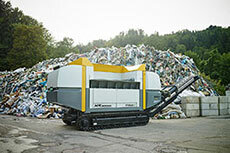 Convinced that the XR could satisfy Lober’s demanding requirements, UNTHA’s sales manager Daniel Wresnik offered the waste shredder to the Neunberg plant on a six month trial. True to the client’s specification, it had to tackle a variety of materials. The machine worked tirelessly throughout a three shift operation, handling 19 tonnes of material per hour to produce a homogenous 120 mm particle. But it wasn’t just the XR’s performance that shone. Offering some final comments, UNTHA’s technical director Christian Lanner said: “With every single project that we undertake, we carefully consider how to satisfy a client’s specific requirements. In this instance, the brief was to ensure high throughputs with minimal operational disruption and no machine downtime. Industrial shredding specialist UNTHA has further strengthened its team with the recruitment of a new team member. 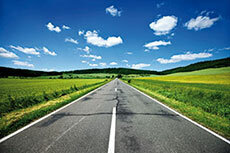 Instead of attending the industry’s usual trade shows, UNTHA UK will host its own roadshow of events. Visitors to IFAT 2016 will have an opportunity to see the world’s first electrically-driven mobile shredder in action. UNTHA has launched the world’s first electrically-driven mobile shredder following extensive successful trials across Europe.